Please sign the petition and circulate. We need your help to maintain the natural integrity of this landscape and protect this natural amenity and fragile ecosystem from development. 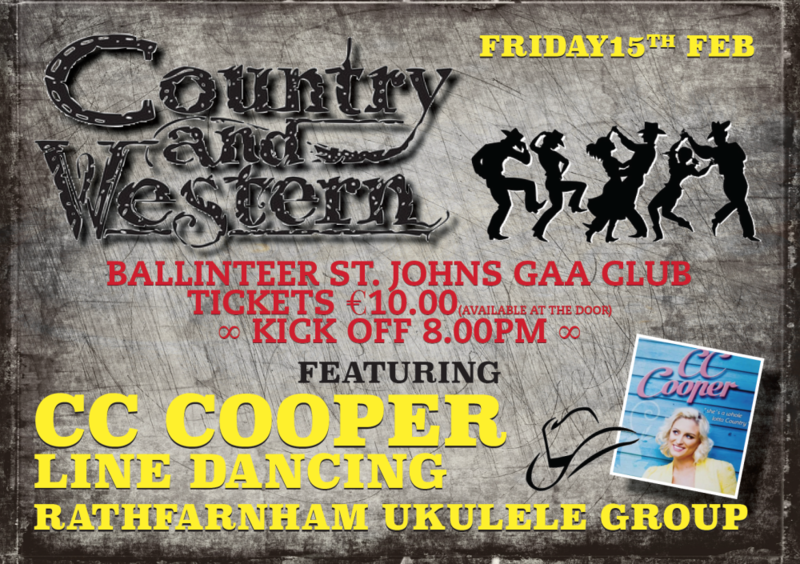 Stetsons at the Ready - Fri 15th February! Fun Night Guaranteed! Prizes! Yeehaw! Your donations will assist in the planning process. 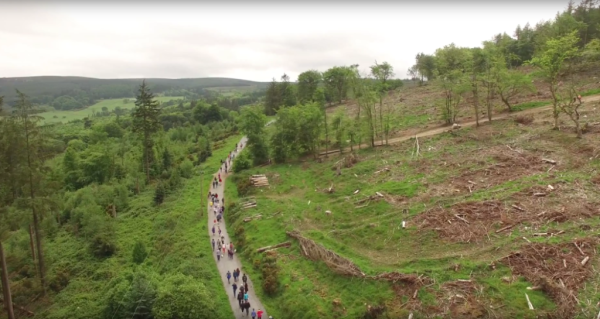 We need your support to maintain the natural integrity of the landscape and to protect the environment from commercial exploitation. To donate please click on the donate button below. Your donation will be processed through Paypal. We value all our donors and accordingly, we value your online security. Please note we do not permit any third party access to your details and we do not store any financial information from donors. 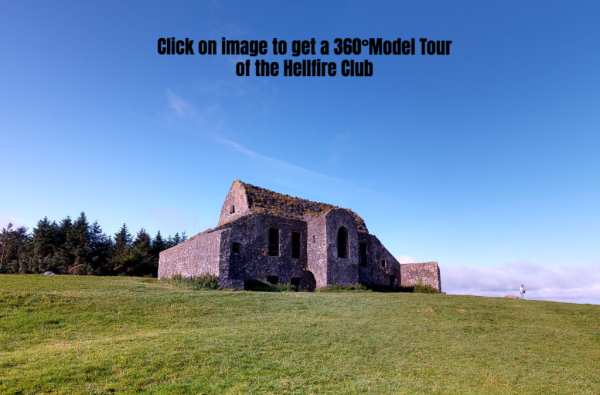 We really do appreciate your support, and we look forward to seeing you in Massy’s Wood and The Hellfire Club for many many years to come! To purchase online please pay through PayPal (above link in the donate section). State clearly your name, address, contact details and total number of calendars required. Rathfarnham Book Store, Rathfarnham S.C.
Rathfarnham Garden Centre, Rathfarnham S.C.
Wenden Kennels, Mount Venus Road, Dublin 16. Our 2019 Calendar features wonderful photographs of the wildlife at the Hellfire & Massy's Wood. It also features a wonderful photograph kindly donated by Selina Guinness from the Guinness archives. Our mission is to maintain the natural integrity of this landscape and protect this natural amenity and fragile ecosystem from development. 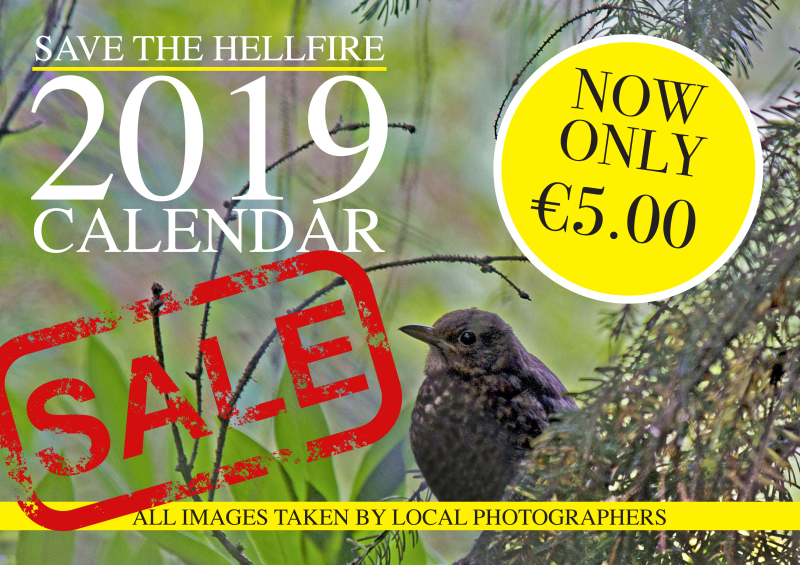 By buying this calendar, you are helping to raise funds which will assist us in hiring the necessary consultants for the Oral Hearing on November 20th. Thank You!